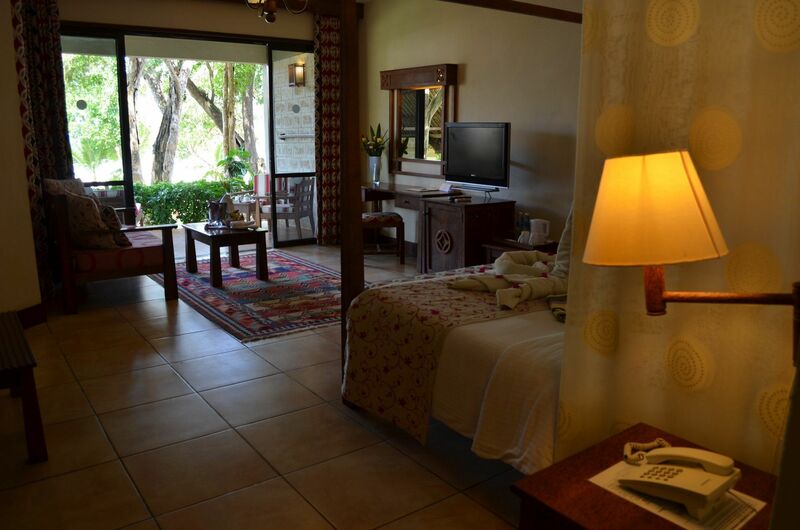 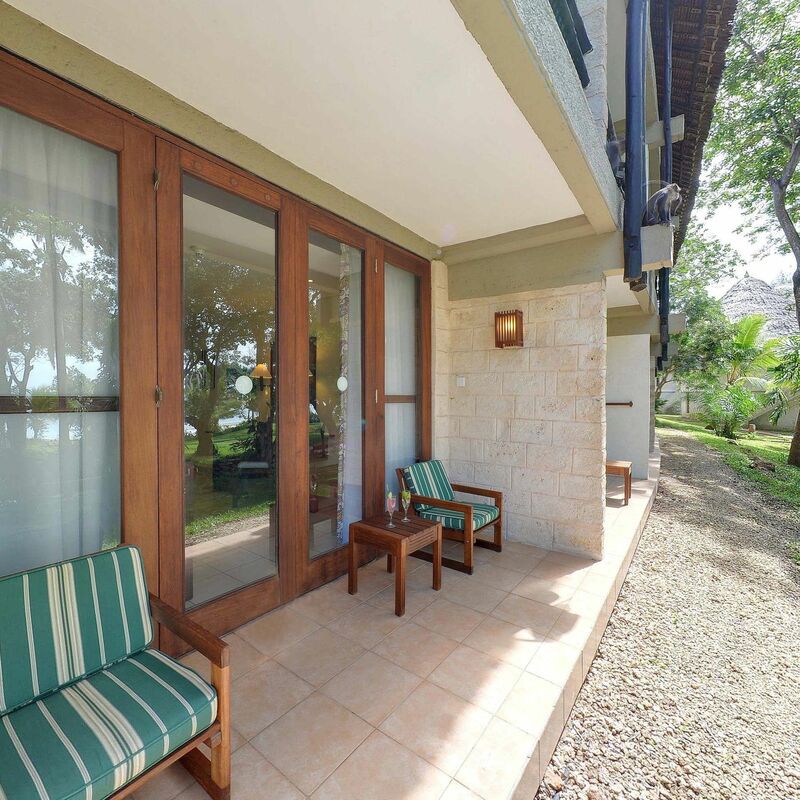 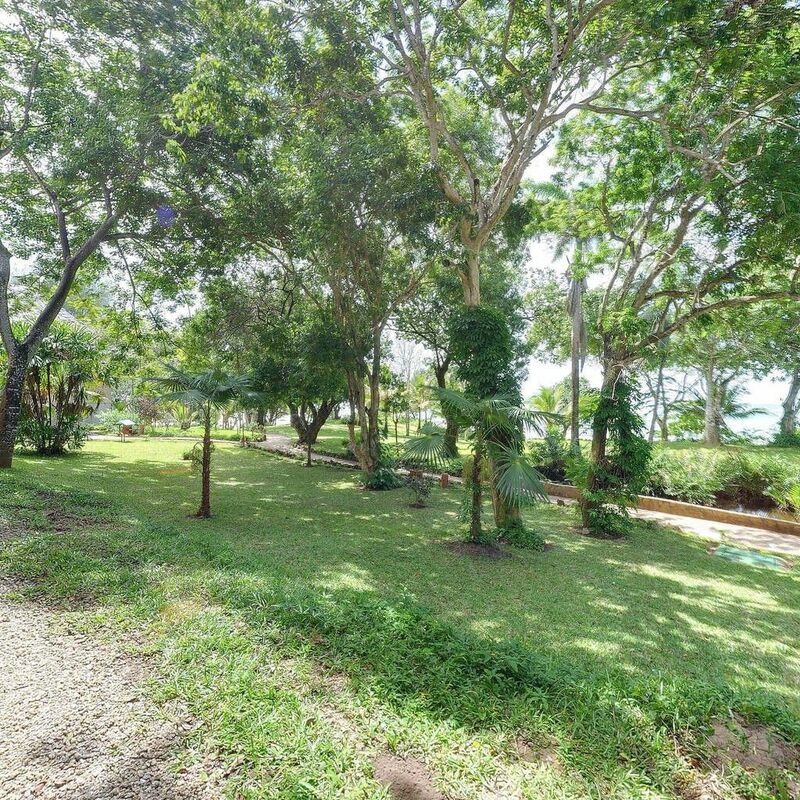 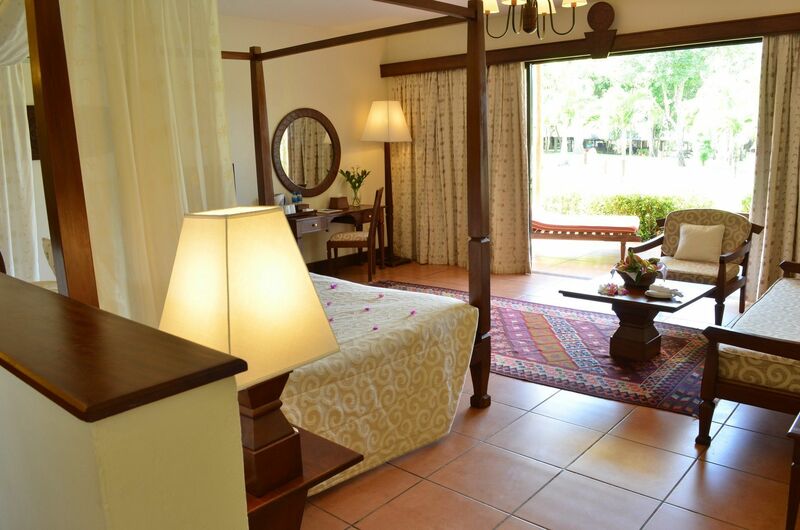 Located amidst tropical gardens, the bungalow like rooms offer a view of the lush and green vegetation surrounding the resort. 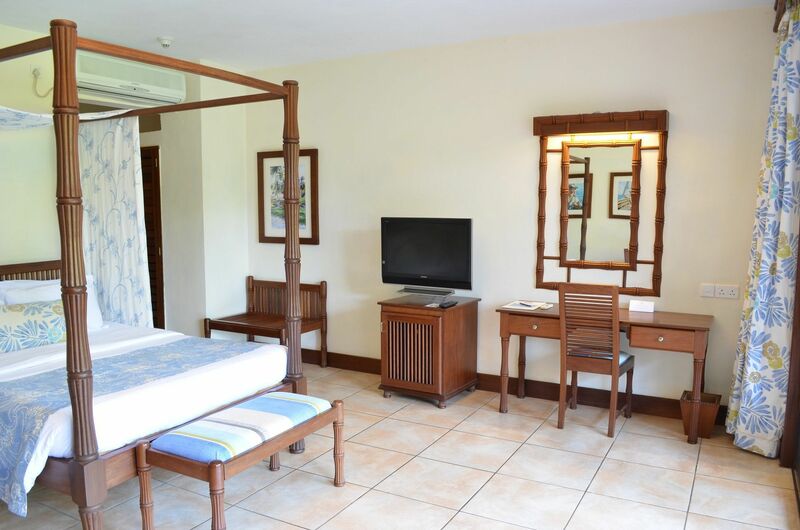 With a record 87 of these room category, the guests are subjected to the full glare of the Indian ocean with maximum beach resort feel. 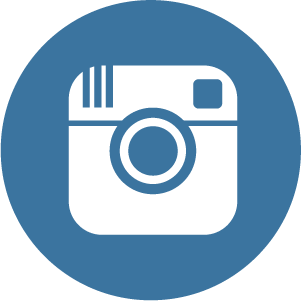 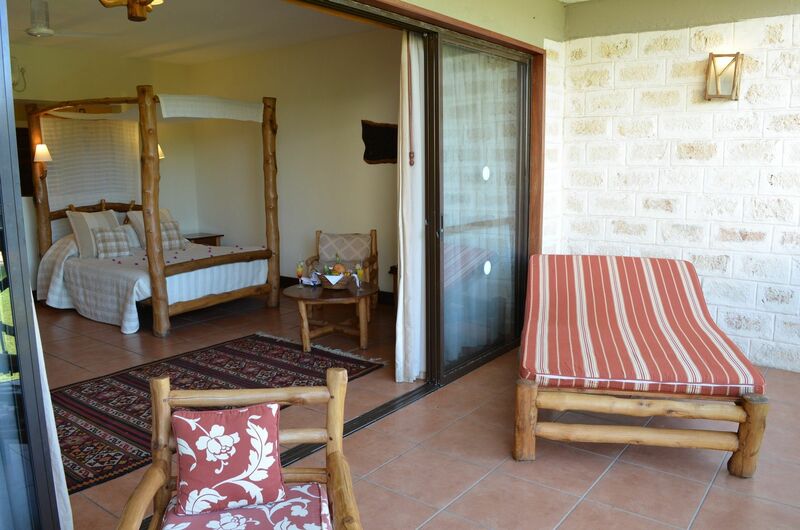 Is 31sq meters in Size. 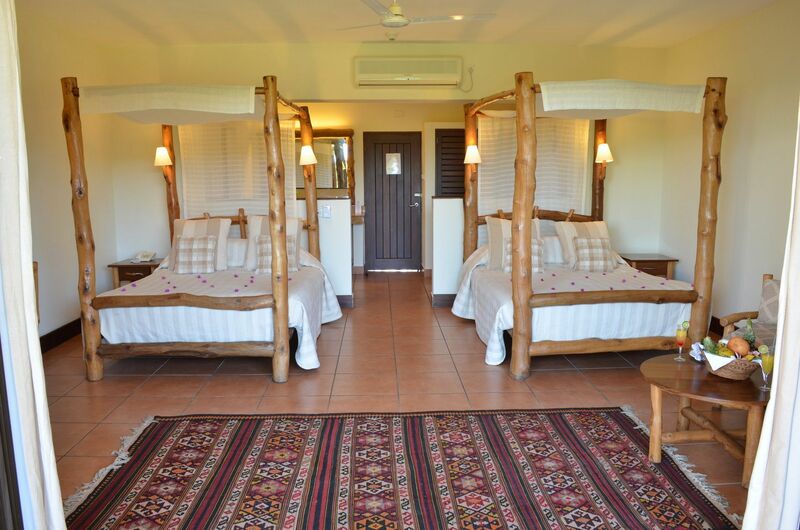 Maximum occupancy is 3 and has 1 double bed or 2 single beds. 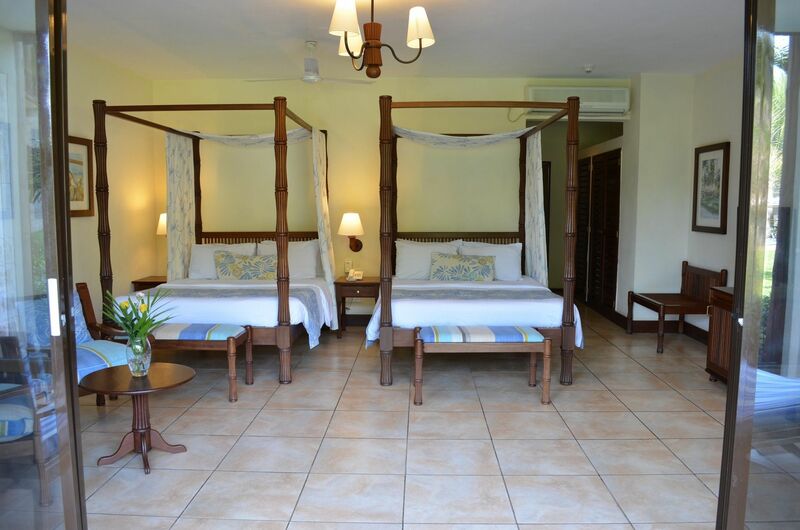 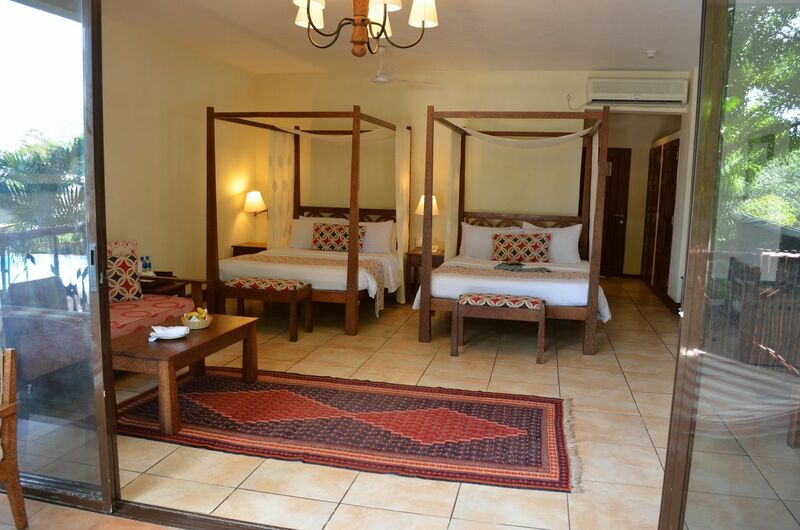 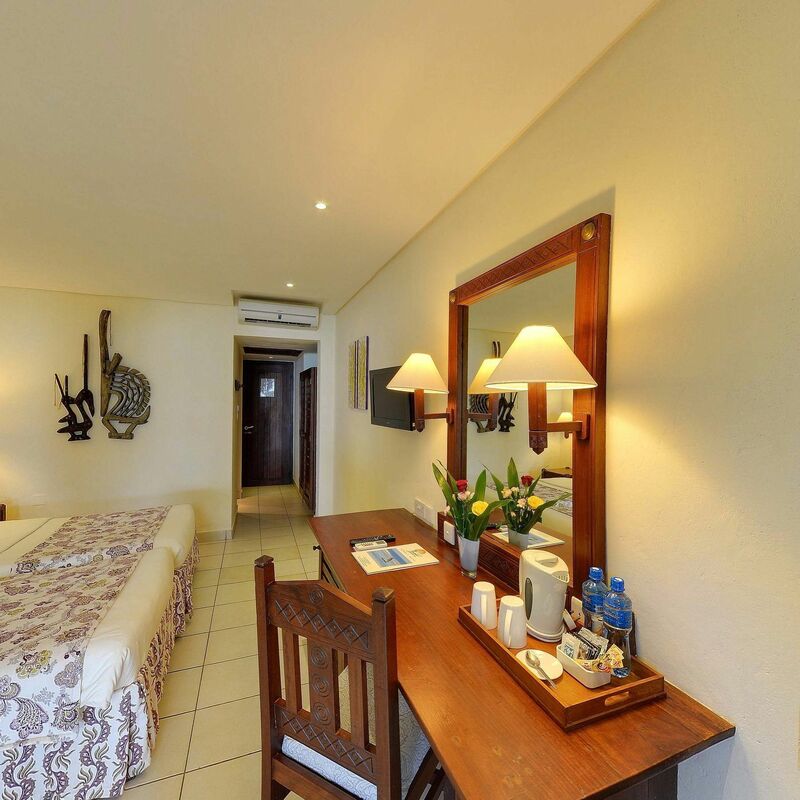 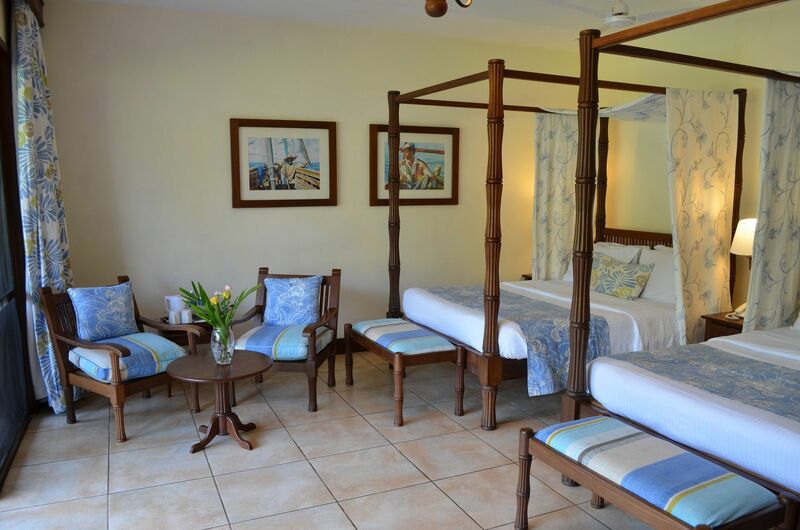 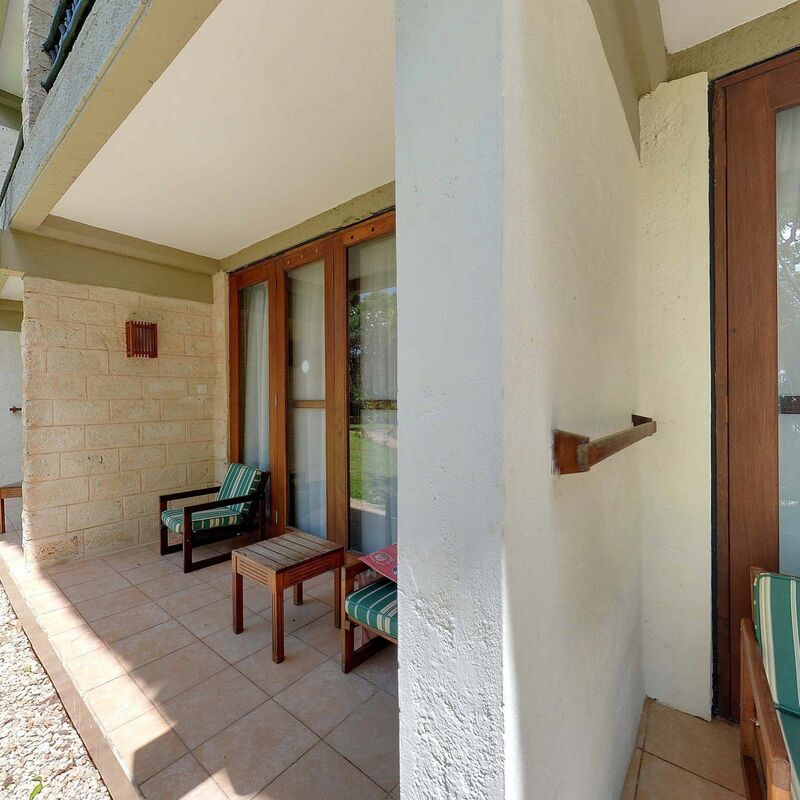 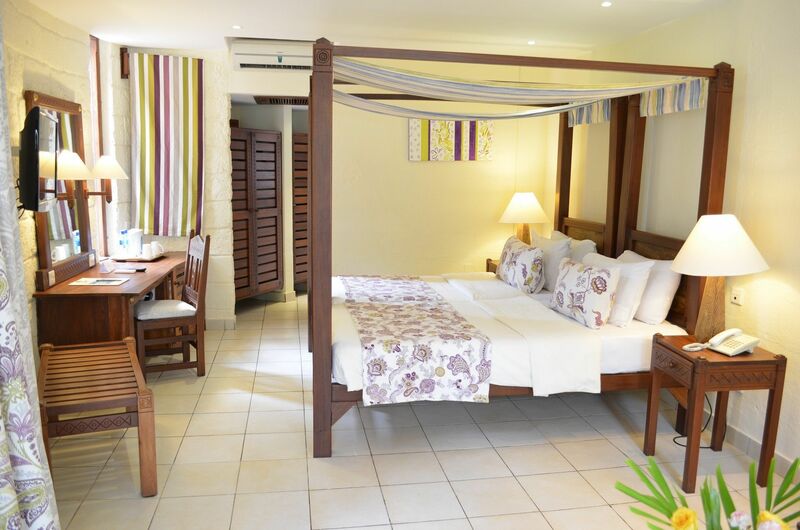 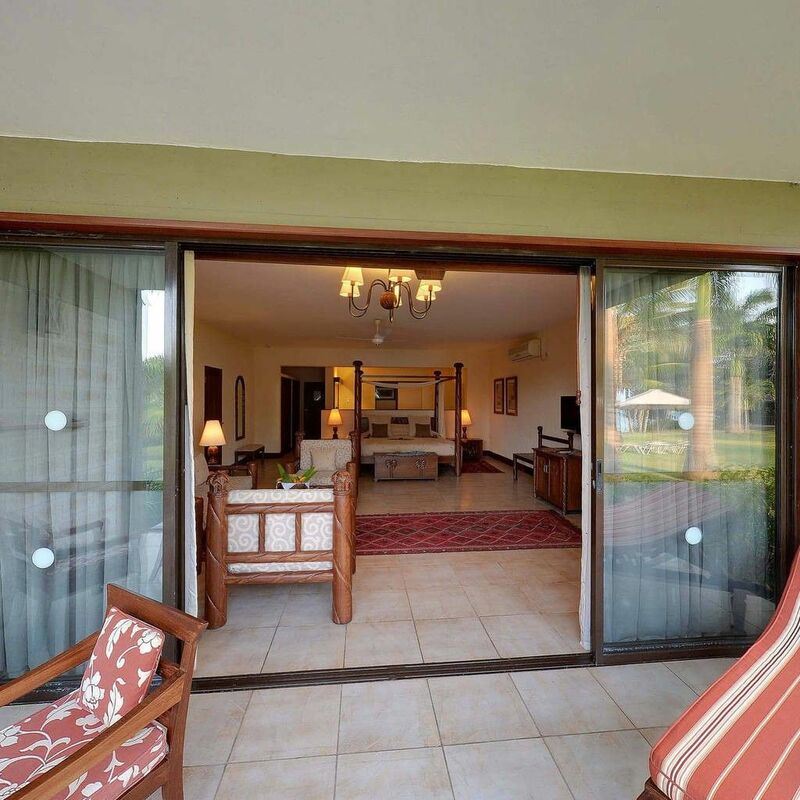 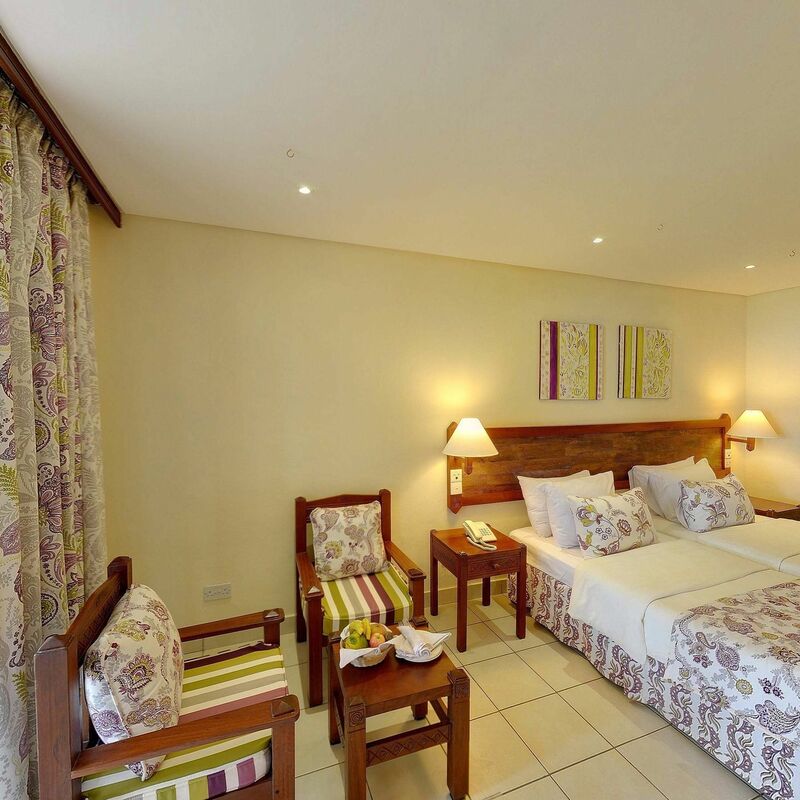 Combining true comfort and style, the sea front rooms offer a spectacular ocean view and features a balcony that allows you to just relax and experience the real Diani moments. 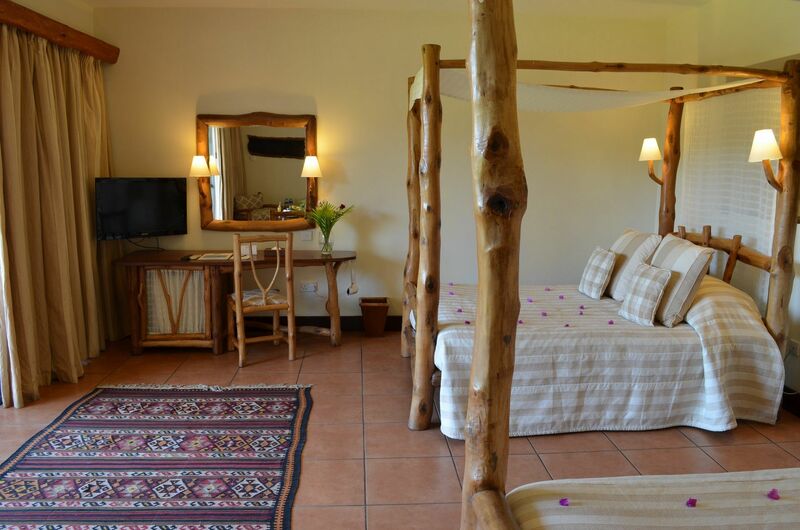 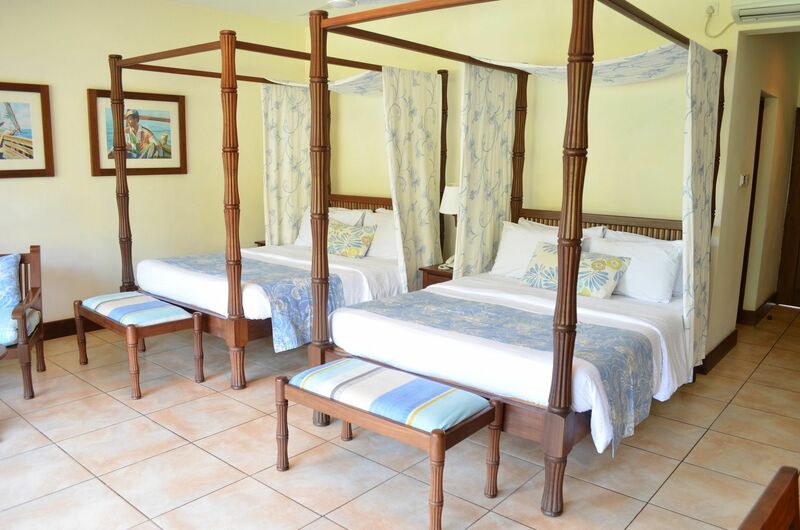 Can accommodate 2 adults and 1 Kid and comes with 2 single beds or 1 double bed. 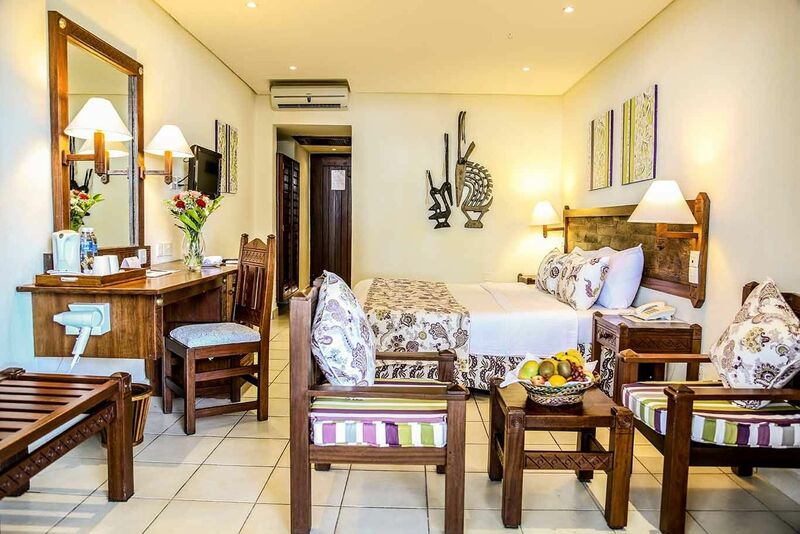 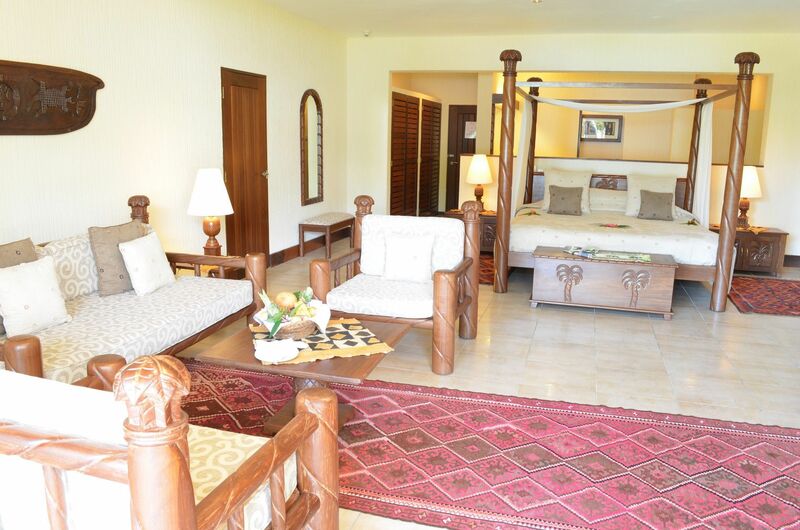 Elegantly furnished and equipped with luxury bath amenities, our deluxe rooms are 70sq meters and comes with 1 King bed a fruit basket and gift bag upon arrival. 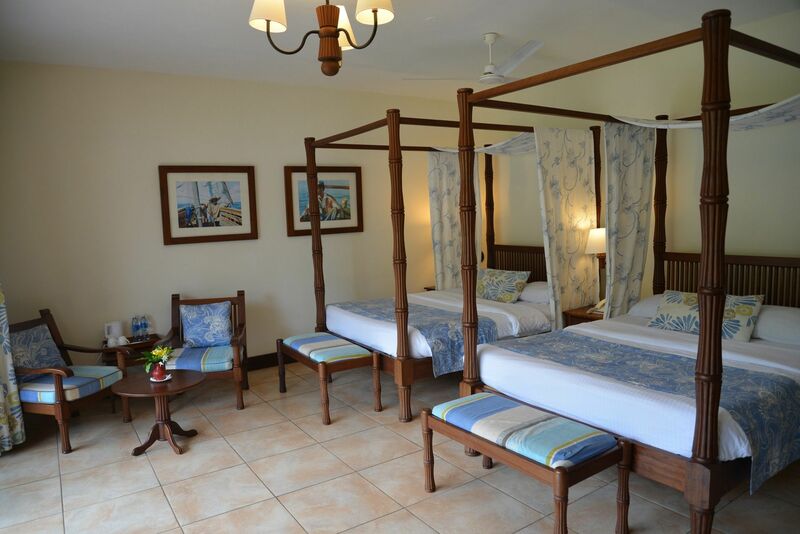 The room accommodates a max of 3. 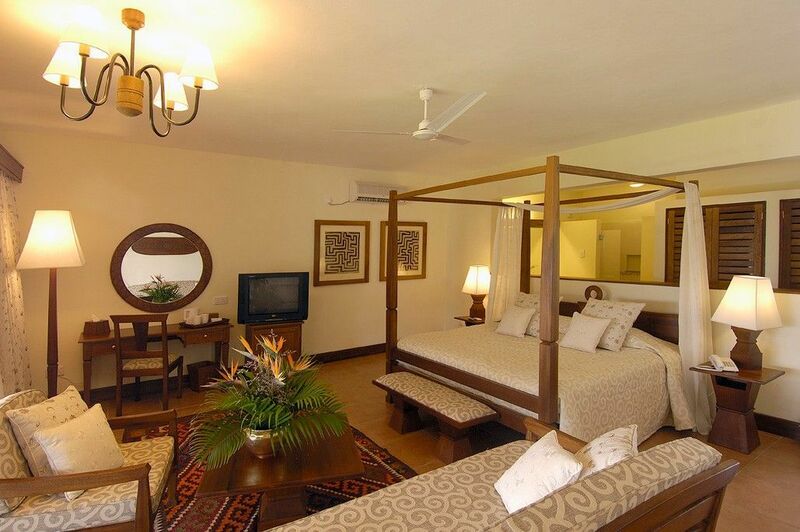 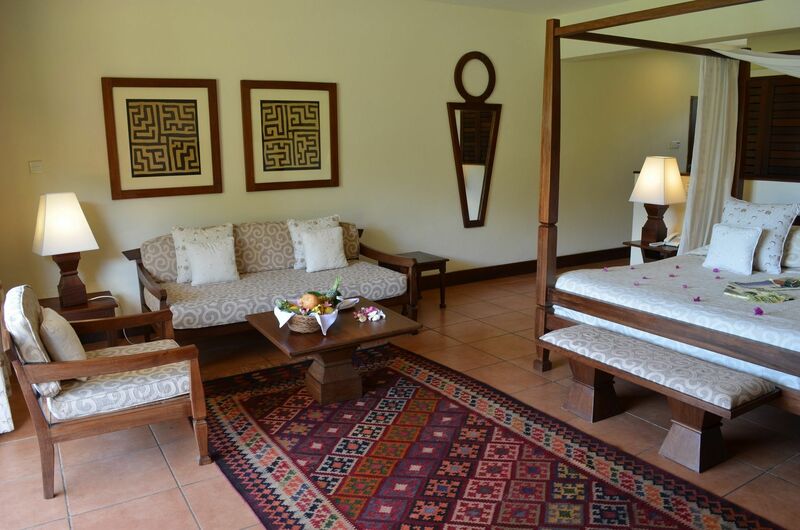 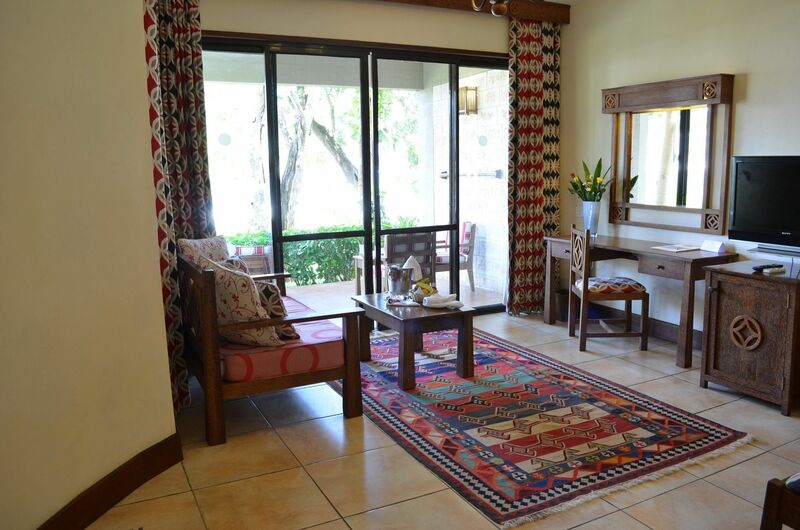 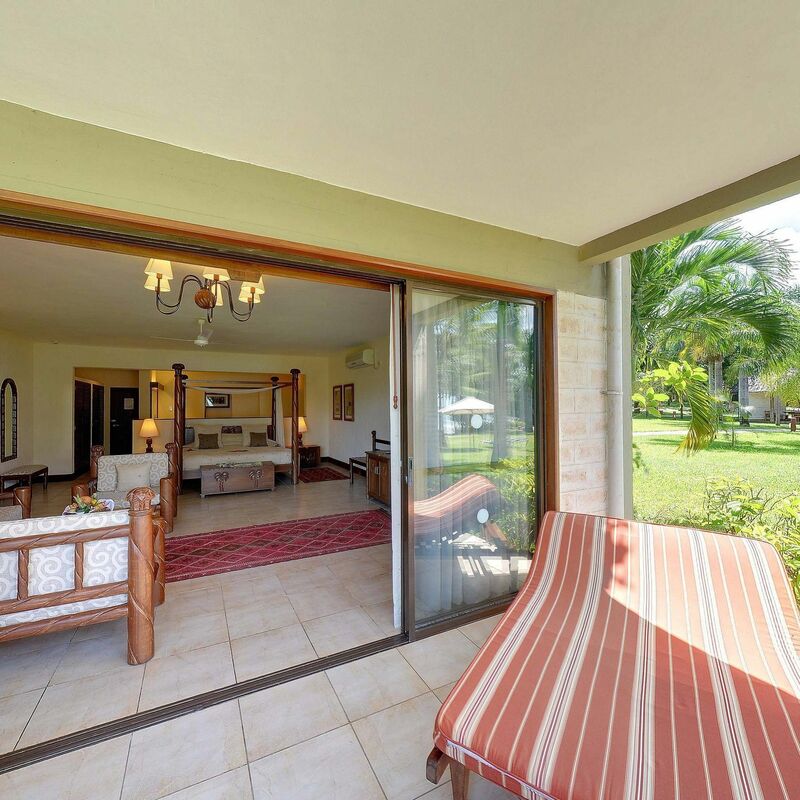 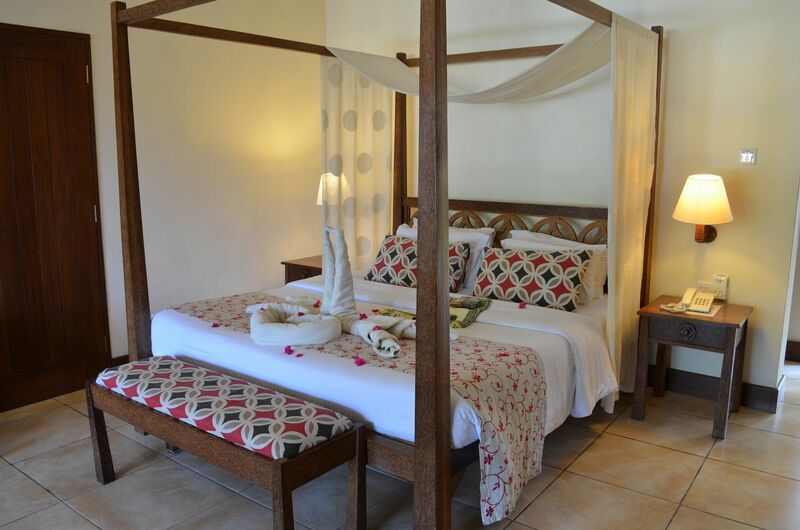 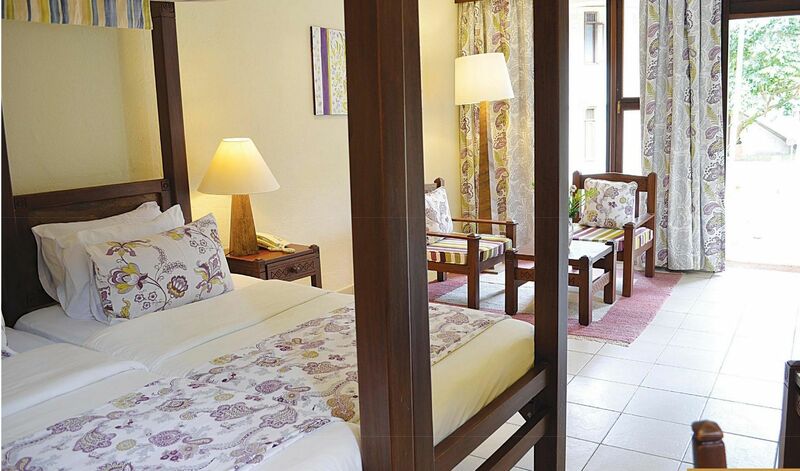 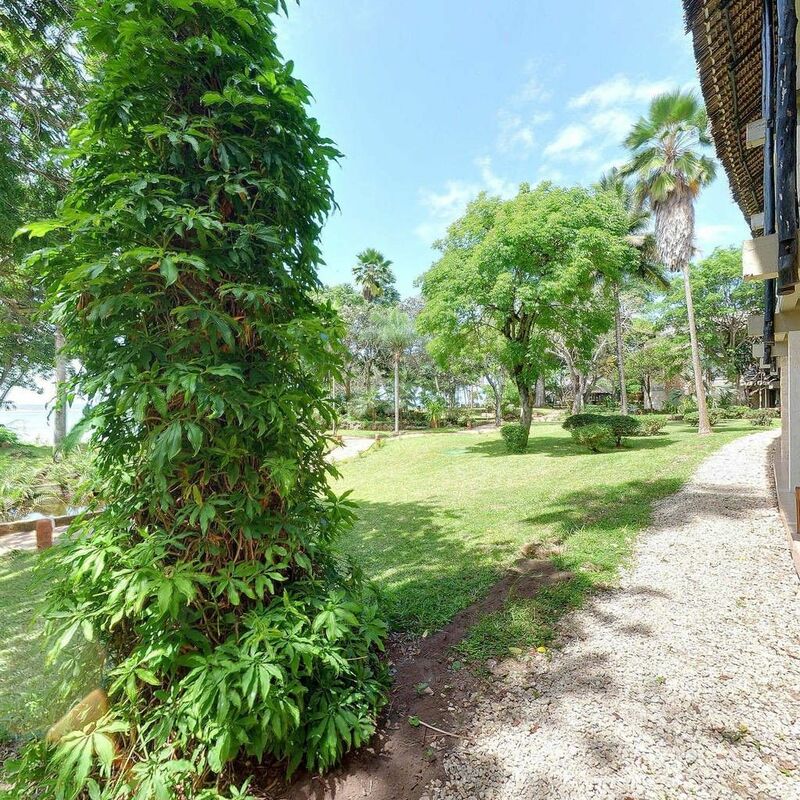 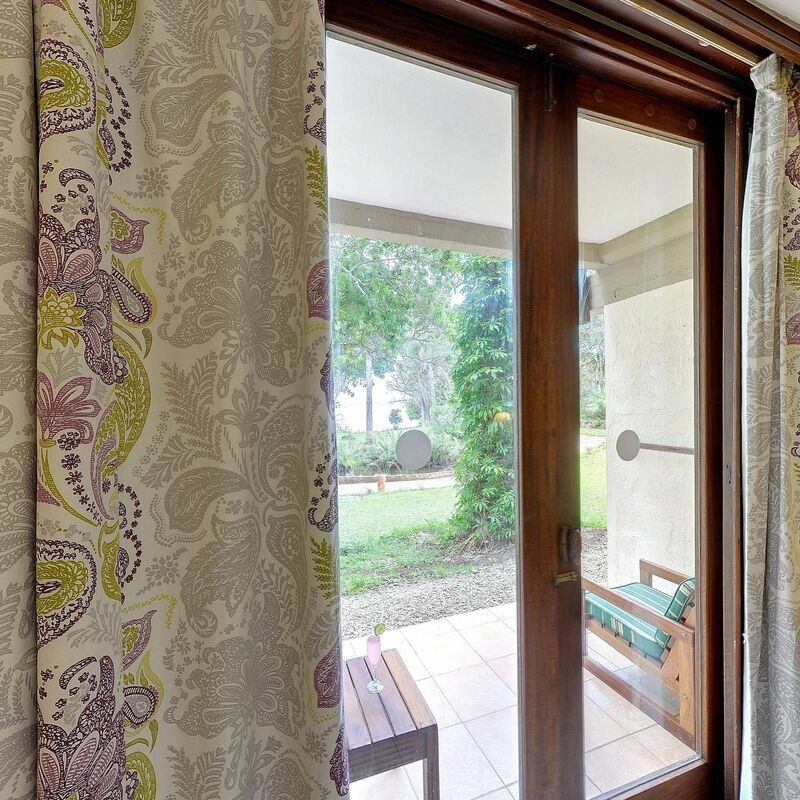 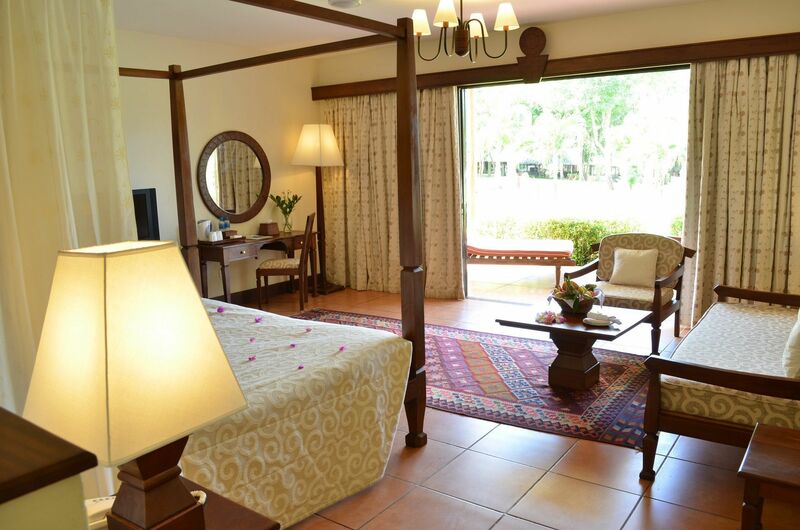 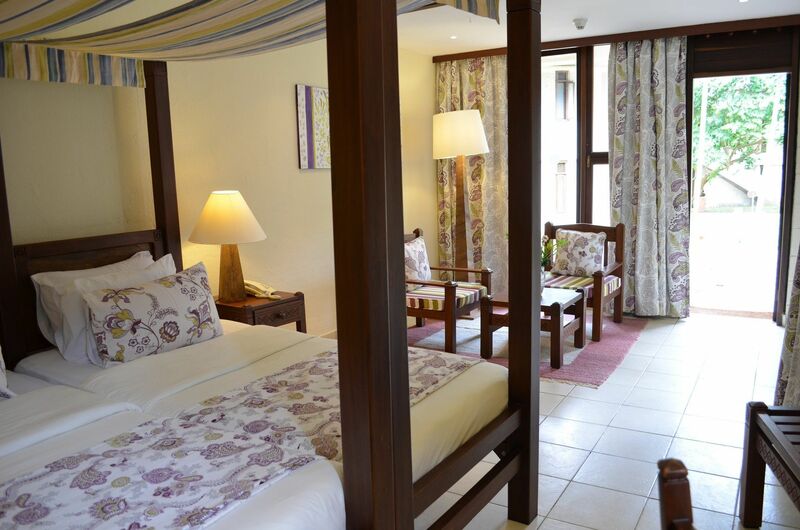 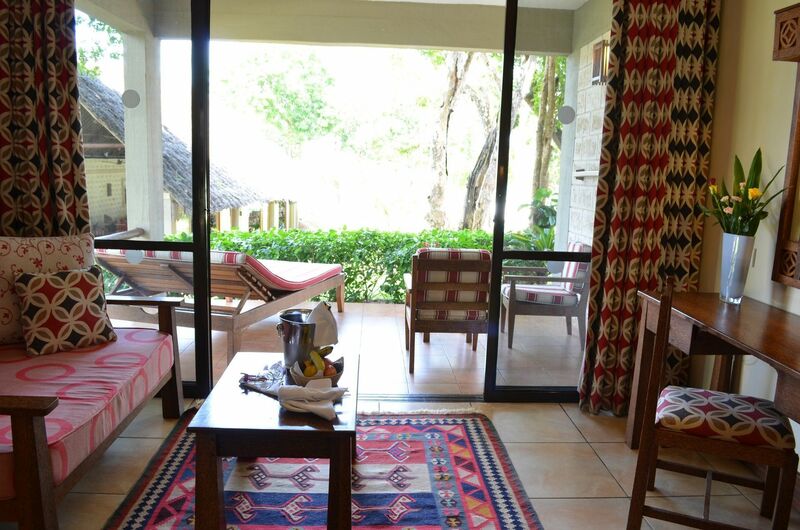 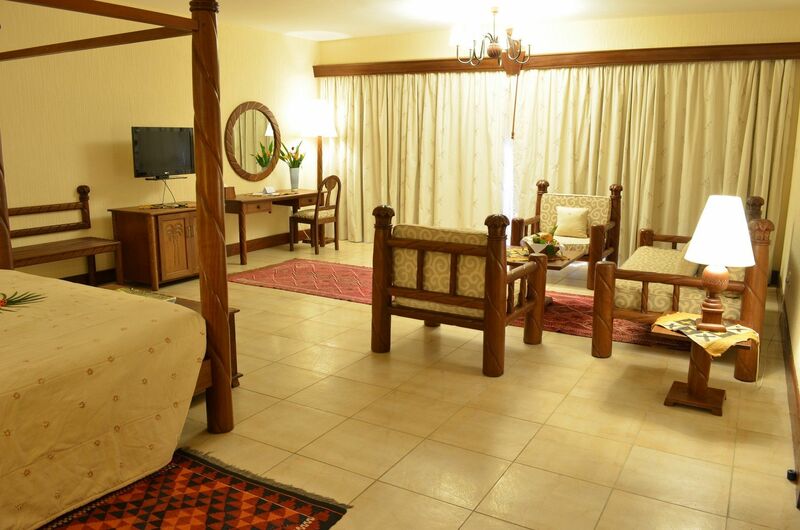 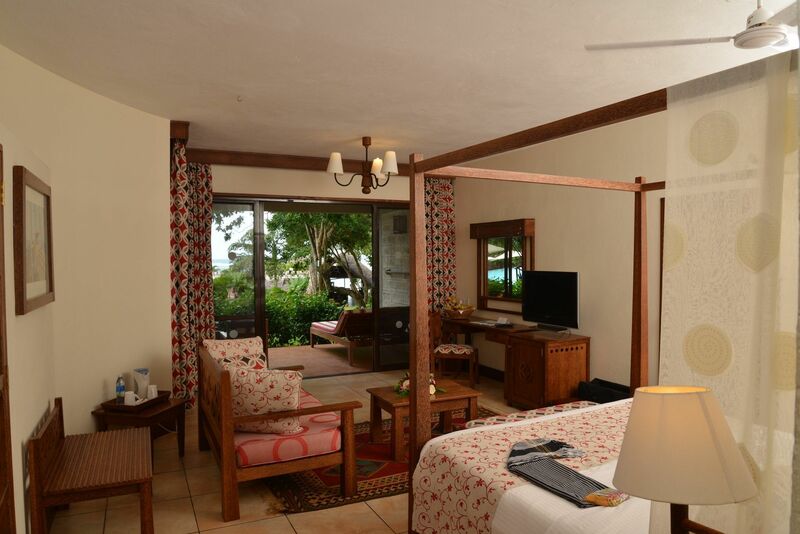 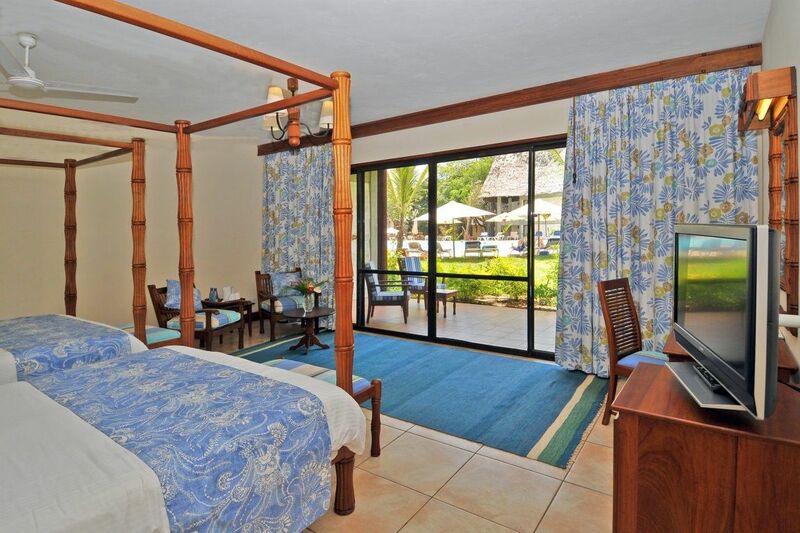 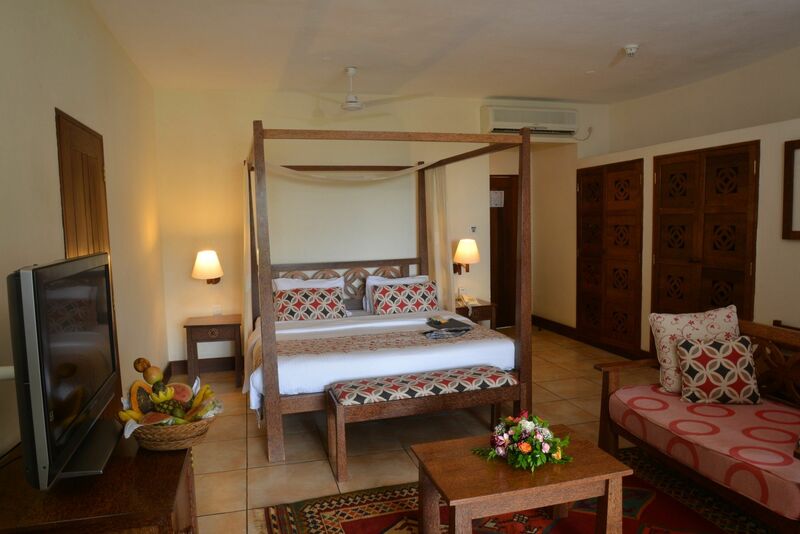 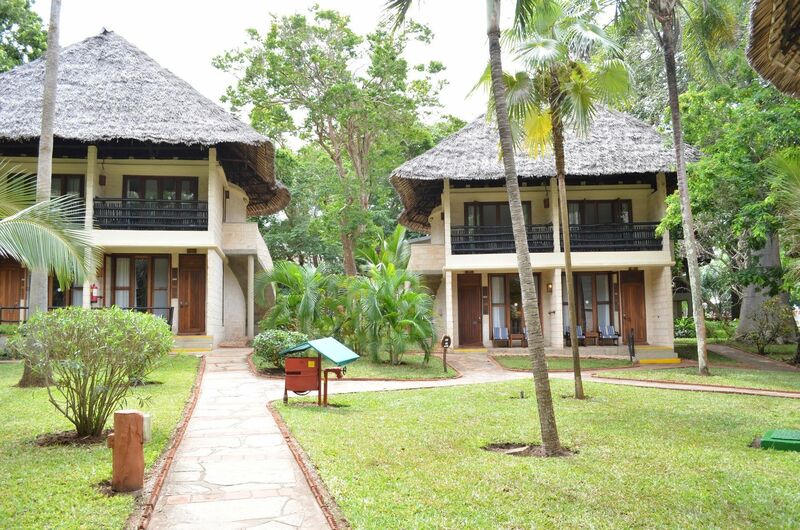 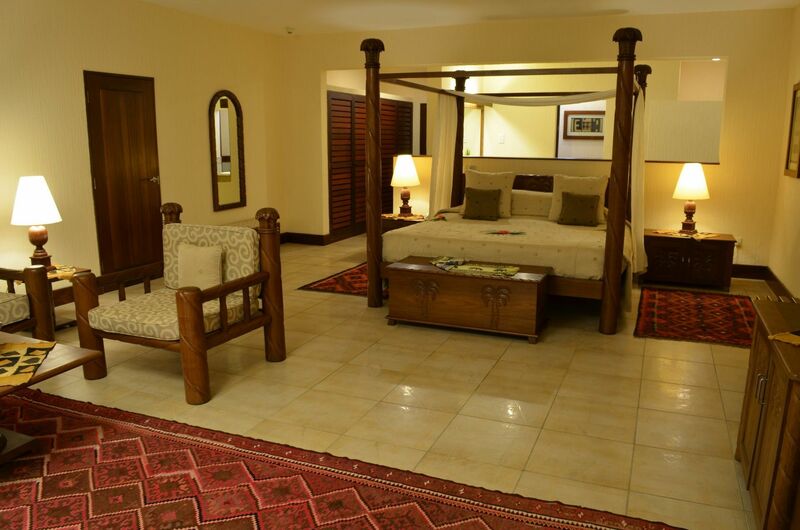 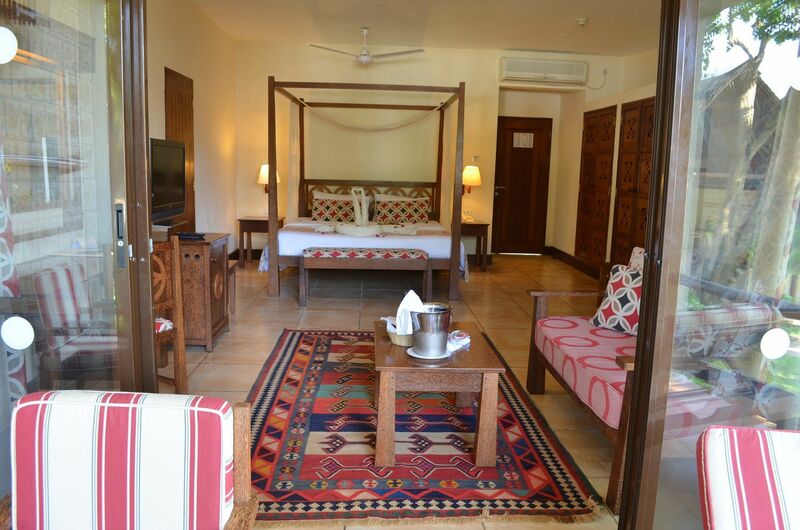 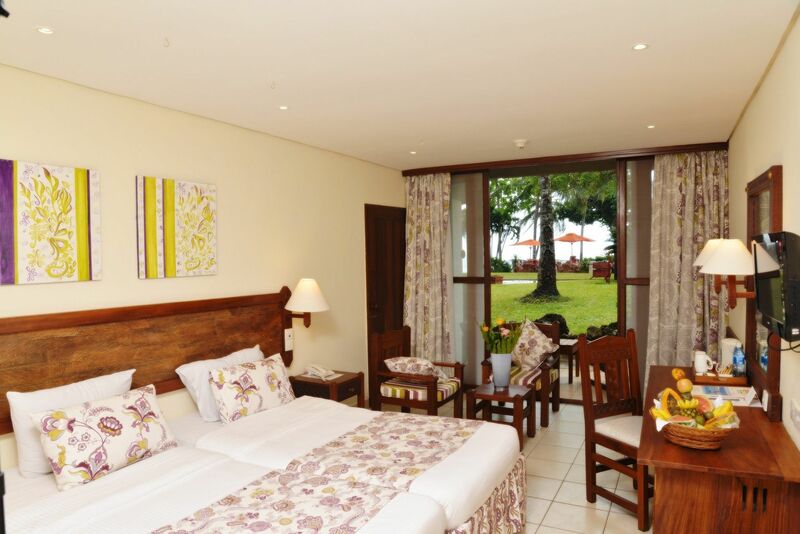 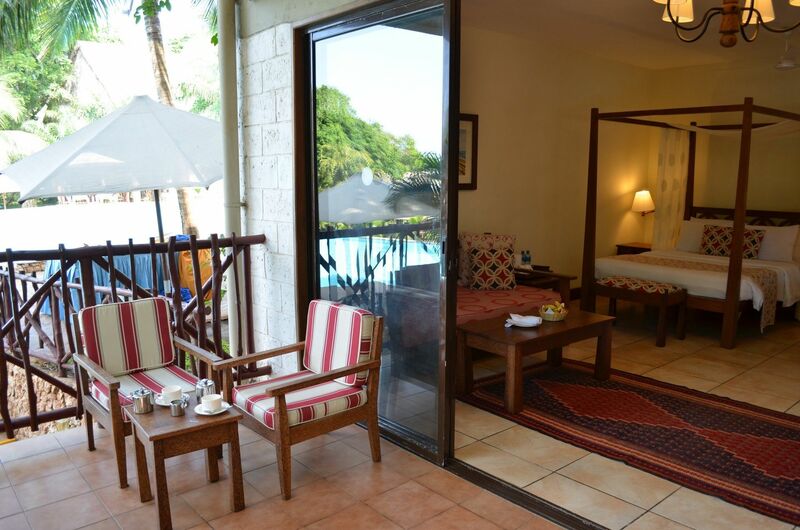 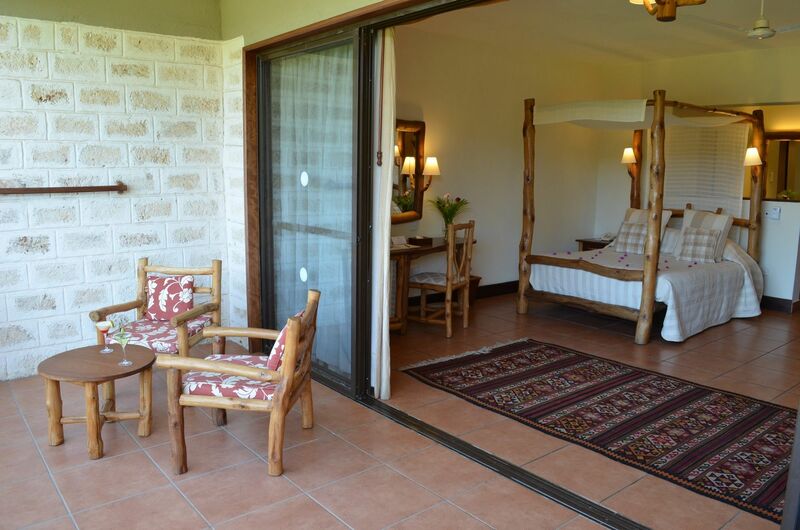 You have Diani Beach views at your door step once you step into the Junior suites on the Kole Kole wing. 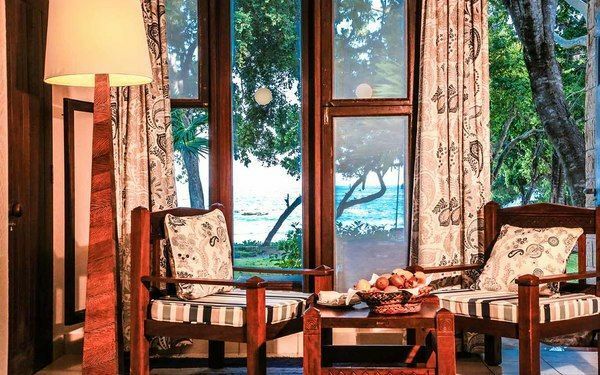 Designed with luxury in mind and tastefully furnished by Kenya's leading interior designers, the junior suites have spacious balconies which provide the perfect place to enjoy dramatic stunning views of the Sea.